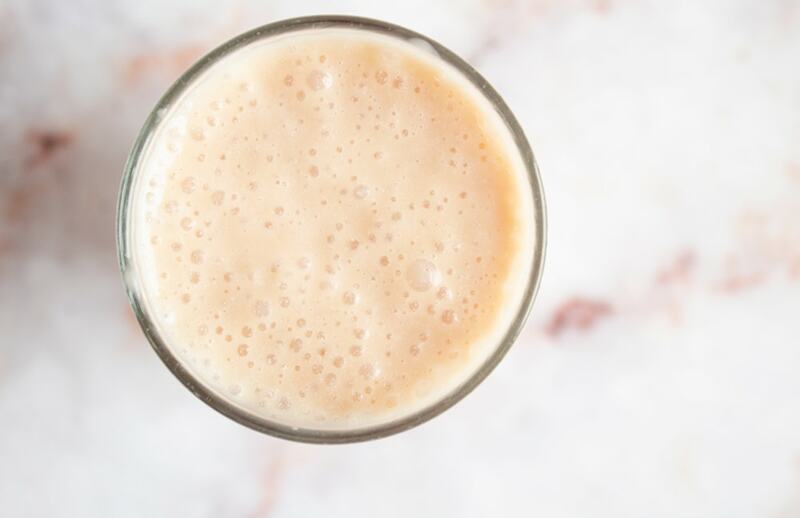 This Salted Caramel Keto Smoothie is thick, sweet, oh-so-good, and slightly caffeinated. If you want a sweet treat without the carbs when the weather is warm, this is it! I’m not really a big tea person. I buy it occasionally, but I usually end up disappointed with the flavor even after I’ve loaded it with stevia. But a few months ago, I stumbled upon a tea that had me saying “O-M-G!” from the very first sip. That tea is Bigelow’s Salted Caramel black tea. It is 100% true to flavor and pretty much tastes like candy when sweetened with stevia. Add a little almond milk and you’ve got yourself one heck of a treat. Of course… I couldn’t leave such an awesome tea alone. I had to take it and make it into an AMAZING keto smoothie because why not? 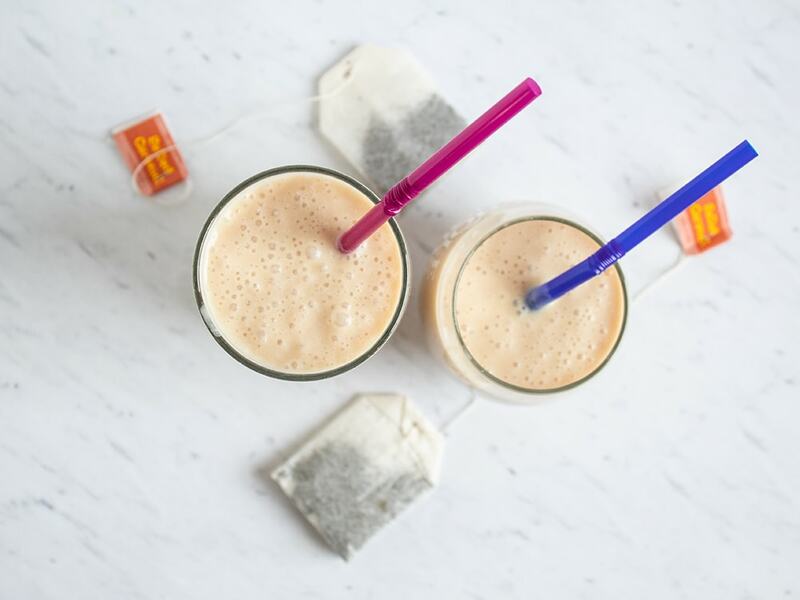 The resulting smoothie is thick, sweet, full of keto-friendly fats, and is slightly caffeinated (between 30-60mg of caffeine) thanks to the tea. MCT oil is loaded with healthy MCTs (medium-chain triglycerides), aka healthy fats. 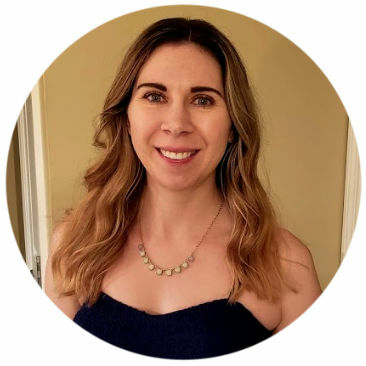 MCTs are a keto diet staple because you can put them in smoothies and coffee, on salads, etc. Use coupon code FORGETSUGARFRIDAY for 15% off your order! Xanthan gum is an incredible, net carb-free way to thicken smoothie, sauces, puddings, etc. Put all your ingredients in a blender (I use a Vitamix that I have owned for about 15 years now and it was THE best kitchen appliance purchase ever!) and blend away. That’s all! This makes a good amount of smoothie and it’s ALL yours… but you can split it if you’re feeling extra-nice. Not sure how thick you want your smoothie? This recipe calls for 3/4 tsp xanthan gum. Thanks to the magical powers of xanthan gum, this will give you a THICK smoothie. If you’re not sure if you want your smoothie super-thick, add 1/4 tsp xanthan gum at a time, blend for 10 seconds, try a bit, and then go from there. Don’t love a SUPER sweet smoothie? This recipe calls for 1/2 tsp stevia. If a really sweet smoothie isn’t your thing, try 1/4 tsp to start. For an extra-fun flavor, use unsweetened vanilla almond milk. I actually haven’t tried this yet, so you can be my guinea pig! A vanilla salted caramel smoothie? Ooooh yeah! 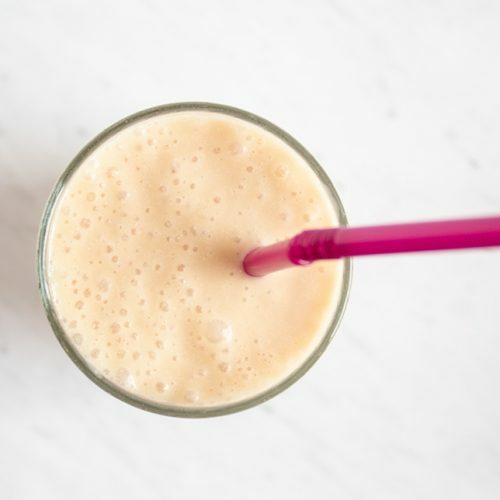 If you love this smoothie, don’t forget to try my Vanilla Ice Cream Keto Coffee Smoothie! I hope you love this tasty keto smoothie! If you liked this post, I would so appreciate you giving it a share by using the social sharing icons. THANK YOU! Don’t forget to also check out my popular roundup of 33 Delicious Keto Fat Bombs Recipes for Keto or Low Carb Diets! 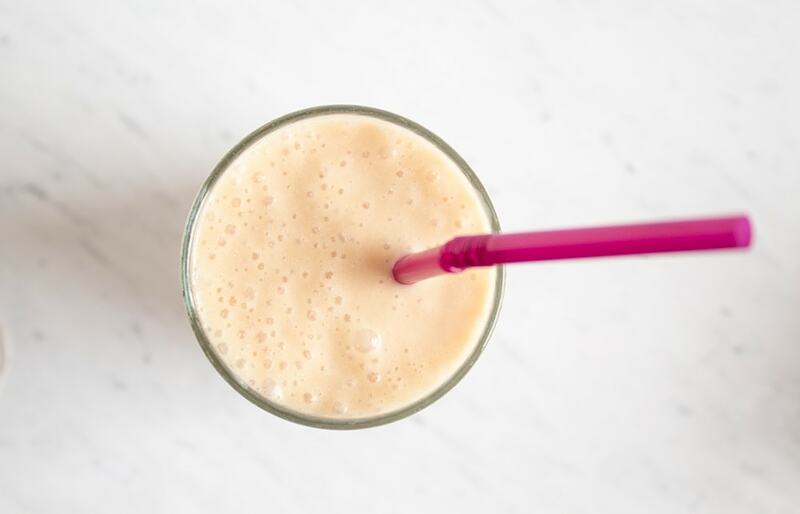 This keto-friendly smoothie is thick, sweet, and slightly caffeinated. Yum! Steep 1 bag of Bigelow Salted Caramel Tea in 6 oz. water. Remove and discard tea bag when done. Use coupon code FORGETSUGARFRIDAY to receive 15% off your order of Perfect Keto MCT Oil! Enter the Keto in Five Cookbook Giveaway!